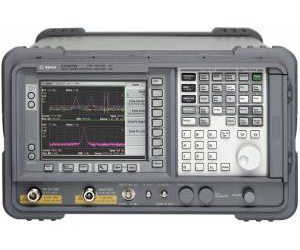 The ESA-E Standard Analyzer is an ideal mid-performance spectrum analyzer for general-purpose RF and microwave measurements. The E4407B is a 26.5 GHz spectrum analyzer that is built to last, acurrate and easy to use. ESA- E Series E4407B signal analyzer for speed, flexibility, Lan / USB GPIB, signal analysis with 89600 VSA software and affordability.